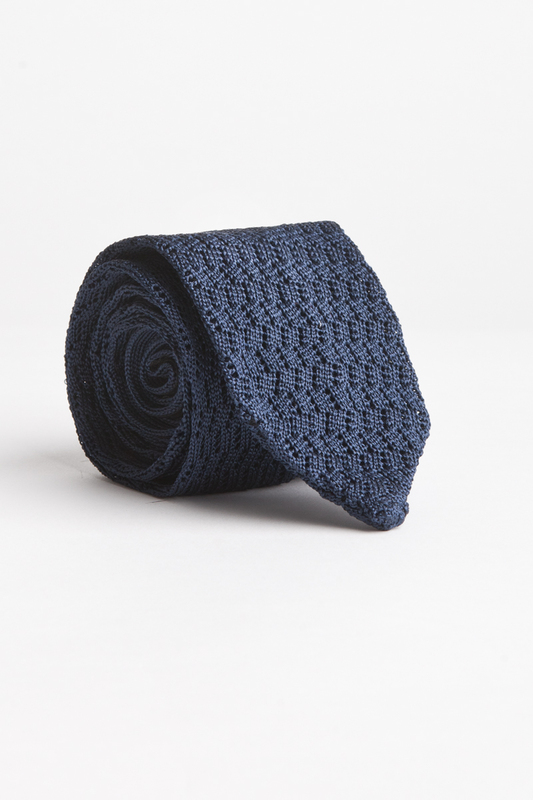 Garrison Essentials Classic Como Knit Tie. 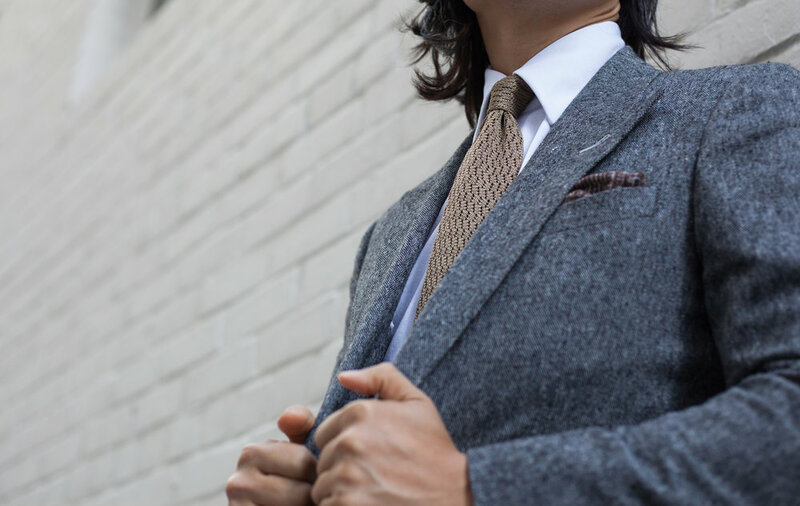 A sophisticated and elegant take on the traditional knit tie. Our Classic Como is designed with an exclusive zig zag knit pattern in 100% silk. Handmade by our small batch maker in Como, Italy. Exclusively for Essentials at $95. Famously worn by style icon Luca Rubinacci, the zig zag knit pattern makes for a distinct 'dressy' knit tie. A definitive sign of Italian craftsmanship, elegance and quality. The texture of the silk adds a new dimension to Fall suiting, creating an even deeper visual interest and incredible knot and dimple. Made slightly slimmer at 6.5cm for a modern look and with a pointed bottom.